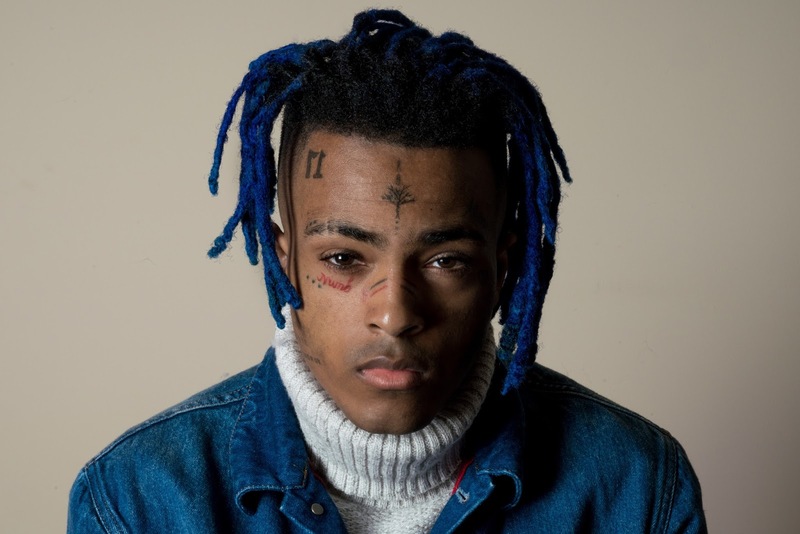 Uncategories XXXTENTACION SKYROCKETS TO #1 ON BILLBOARD TOP 200! XXXTENTACION SKYROCKETS TO #1 ON BILLBOARD TOP 200!
? ALBUM #1 IN 5 COUNTRIES & TOP 10 IN 15 COUNTRIES!!!! The fans have spoken. Embraced by music lovers worldwide, XXXTentacion (pronounced “Eks-Eks-Eks-Ten-Tah-See-Ohn”) catapults to #1 on the Billboard Top 200 in North America with his full-length debut, ? [Bad Vibes Forever]. Get the album HERE. This unparalleled success has officially transformed the platinum-selling acclaimed South Florida alternative trailblazer into a global force. In addition to topping the charts in the U.S., ? bowed in the Top 10 in a total of ten countries, including Norway (#1), Sweden (#1), Canada (#1), Netherlands (#2), New Zealand (#2), Australia (#3), UK (#3), Ireland (#3), Finland (#3), France (#5), and Belgium (#6). In the span of merely one week, the record generated over 247 million cumulative streams and 20,000 cumulative downloads. Plus, the single “SAD!” is #19 on the Billboard Hot 100 and has already garnered over 83 million cumulative streams and counting. The numbers remain nothing short of astonishing for this independent multi-faceted young man. Utilizing his voice and platform to give back to his community, XXXTentacion also performed an emotional hometown show, “A Helping Hand,” benefiting victims of the Parkland shooting. During the concert XXXTentacion encouraged fans to stay positive and support each other after calling for a moment of silence to pay respect to all the kids who lost their lives. The outpouring of love and unity was felt throughout the building; Florida artists Robb Bank$, Craig Xen and influencer Yes! Julz came to lend support and help raise over $30,000. In other big news, XXXTentacion now regained touring privileges and will be announcing an upcoming headline run very soon. Excitement initially a boiling point among his fans and peers. The Weeknd’s tweet of XXXTentacion’s ? album title incites rabid viral chatter while the legendary Juicy J recently complimented him for his ability to “keep the music alive” in a Rolling Stone interview. During an interview with No Jumper, J. Cole proclaimed XXXTentacion as “talented,” while mega-star Kylie Jenner sound-tracked a recent Snapchat story with “SAD!” He counts Erykah Badu and A$AP Rocky among fans as Kendrick Lamar tweeted, “Listen to this album if you feel anything,” regarding his gold-certified 2017 project, 17. Known for cathartic honesty that’s turned millions of fans into believers, ? showcases his most poignant, powerful, and personal writing to date. An autobiographical trip through his mind, heart, and soul, he personally contributed guitar and keys in addition to writing every single song. Close collaborator John Cunningham handled the bulk of production. Additionally, he joins forces with Travis Barker, Matt Ox, Joey Bada$$ and PnB Rock over the course of the tracklisting. There is literally nobody like XXXTentacion, and that’s why he’s become a source of inspiration and hope for kids around the world. A Molotov cocktail of brash industrial, punk spirit, metal energy, hip-hop bombast, and alternative emotion, he vaulted into the mainstream consciousness with “Look At Me!” notching an RIAA platinum certification and a spot on the Billboard Hot 100 at #34. Meanwhile, his gold-certified first project, 17, bowed at #2 on the Billboard Top 200 and yielded a searing hit in the form of “Jocelyn Flores.” His total streams tally more than 1 billion so far. This is only the start.